Marq Torien is the original vocalist and only remaining original member in the current lineup. 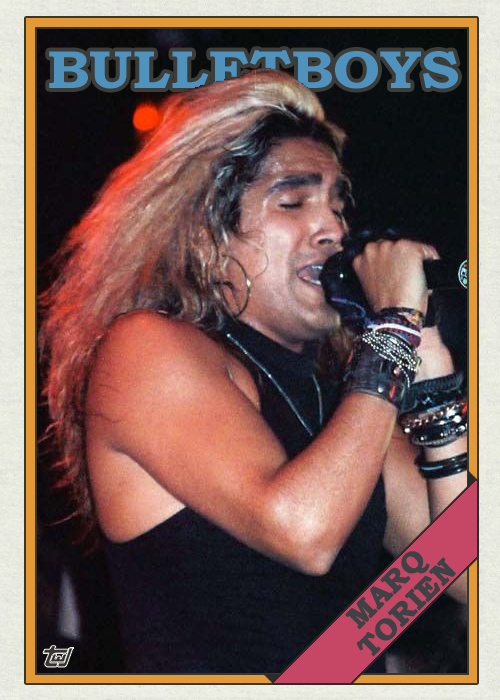 The band has changed its sound on several occasions, but the hair metal heritage is strong on the 1988 debut album. The big songs are “Smooth Up In Ya” (US Hot 100 #71, US Mainstream Rock #23) and the cover “For the Love of Money” (US Hot 100 #78, US Mainstream Rock #38). 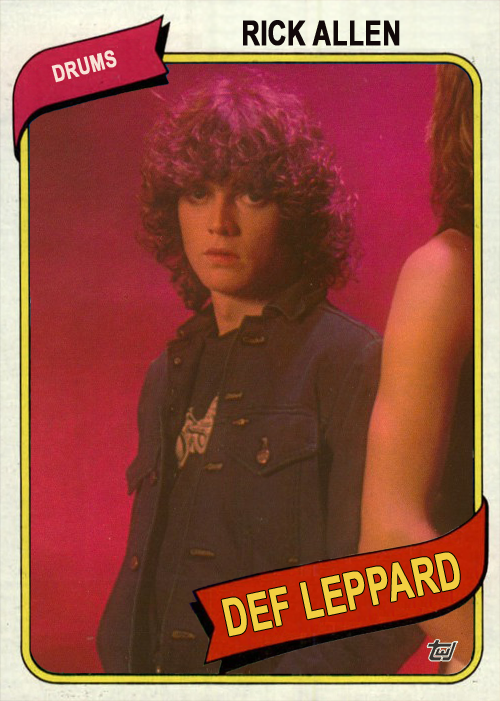 Mick Sweda is no longer with the band, but his guitar skills played a major role in the band’s early success. The BulletBoys’ cover of Tom Waits‘ “Hang On St. Christopher” on the second album, Freakshow, is out of this world. The band’s third album, Za-Za, was their last for Warner Bros. Records, and the last appearance of Mick Sweda with the group. The current lineup of the BulletBoys (Torien, Nick Rozz, Chad MacDonald, and Anthony “Tiny” Biuso), along with openers Enuff Z’nuff and a ton of local groups, will be performing at The Venue Saturday night. Click here to buy tickets! Click here to buy the latest BulletBoys album, From Out of the Skies. Trixter is one of those oft-forgotten hair metal bands. Their debut album was not released until 1990, in the waning hours of the genre’s supremacy on MTV and FM airwaves. The group experienced moderate success with the debut single, “Give It To Me Good,” peaking at #65 on the Billboard Hot 100 and #26 on the Mainstream Rock Chart. The next two songs, “Surrender” and “One In A Million,” did not perform quite as well. The band recorded “One Mo’ Time” for the 1991 Richard Greco film, If Looks Could Kill. 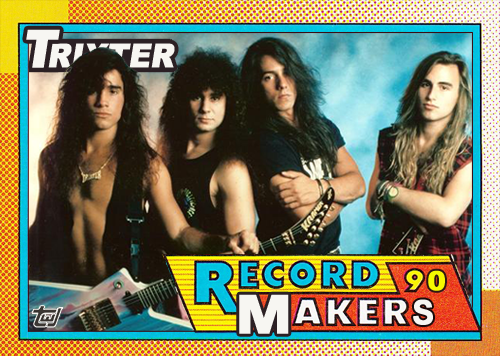 Trixter’s self-titled debut went Gold, but 1992’s Hear! stalled at around 100,000 copies and the group was dropped from MCA. 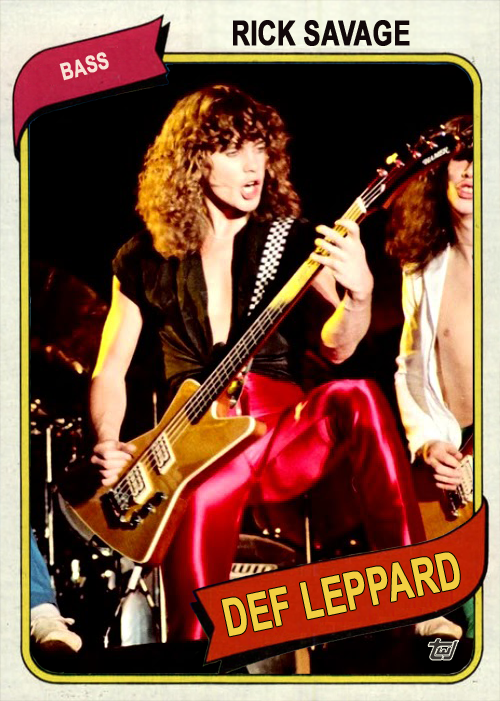 Guitarist Steve Brown was your typical ’80s hard rock guitarist with some killer riffs and fancy fretwork, but he didn’t really stand out above the crowd. Even if he did, though, the musical landscape changed and nearly everyone who could shred became a pariah. Trixter recorded one more studio album in the 1990s, Undercovers, on the independent label Backstreet Records, then went silent…until 2008. The band reunited, went on tour, and in 2012 Frontiers Records released the first new studio material from Trixter—New Audio Machine—in nearly two decades. Another album, Human Era, came in 2015. I’m not sure if Trixter is still together; their website has no information whatsoever and the full band has not performed together since March of last year. Guitarist Steve and bassist PJ Farley are members of Eric Martin’s (the voice of Mr. Big) touring band. 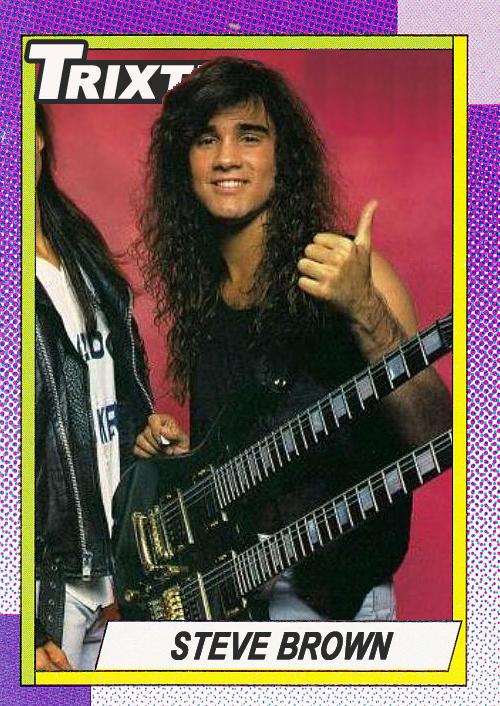 Former Steelheart guitarist Kenny Kanowski passed away a few days ago. The cause of death has not been announced. 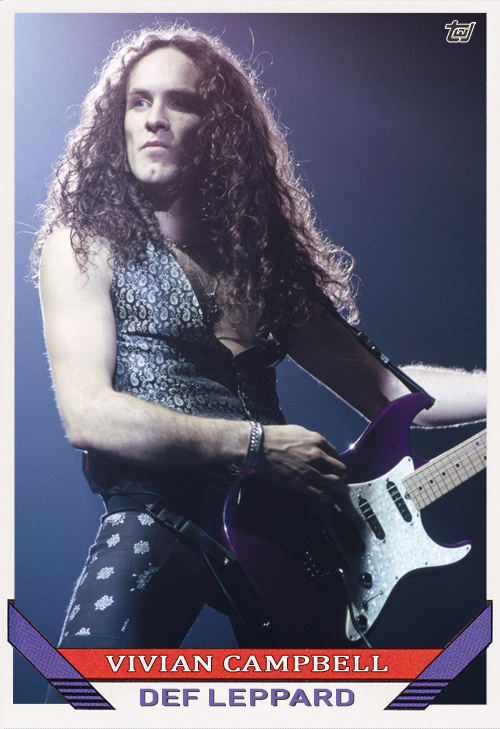 Kanowski appeared on the 1996 Steelheart album, Wait, co-writing many of the songs. Among his credits was “We All Die Young,” featured in the 2001 Mark Wahlberg movie, Rockstar. Zakk Wylde played the guitar parts in the movie version of the track. Everything that King Kobra did right on their debut, they did wrong on their follow-up, at least for the first half of the record. Capitol Records pressured them for a more radio-friendly sound, claiming the debut was too heavy. Carmine Appice and the band acquiesced to the label’s demands and delivered Thrill of a Lifetime in 1986, an album half-filled with lackluster, synthesizer-heavy pop rock songs. The first five songs, including the Russ Ballard-penned “Dream On,” are easily skippable. Even the theme song for the awesome Iron Eagle movie, if divorced from the movie, is a ho-hum AOR affair. The song is good when considered alongside other movie anthems of the 1980s, but when measured up against King Kobra’s own material, especially the first album, it falls short. Of course, the label decided to release “Dream On” and “Iron Eagle (Never Say Die)” as singles. Guitarist David Michael-Philips revealed that eighty percent of the record was recorded using drum machines, despite Appice’s reputation “as one of the best drummers in the world.” Appice was only “fully involved” on three songs: “Raise Your Hands to Rock,” “Party Animal,” and “This Raging Fire,” which was only included on the record as it was released in France, and is not included on this remastered version. “Home Street Home” is an interesting rock/rap hybrid, and is a fun listen, but doesn’t hold up very well over the past thirty years. “Overnight Sensation,” despite using the drum machine, is more of a rocker and would have fit in well on Ready To Strike. “Raise Your Hands to Rock” and “Party Animal” are also hard rockers that help the album finish strong. A bonus track, “Home Street Home (Street Mix)” is also included, and again is interesting but does not add much to the final product. 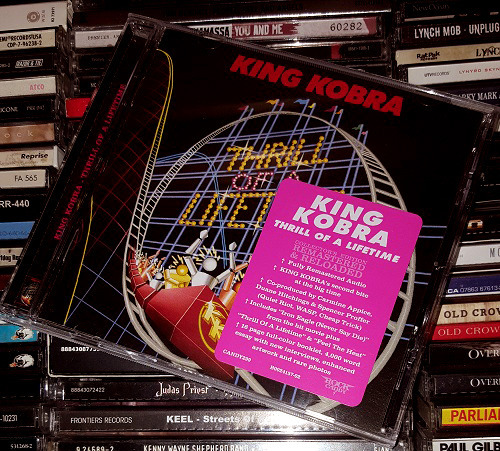 The remastered compact disc comes with a 16-page booklet, featuring a 4000-word essay on the recording of the album and the demise of the original King Kobra after Thrill of a Lifetime was released. Purchase King Kobra’s Thrill of a Lifetime Collector’s Edition Remastered & Reloaded. Capitol Records initially released King Kobra’s debut album, Ready To Strike, in 1985. Dark-haired drummer extraordinaire Carmine Appice recruited a handful of blonde musicians to join him after he was fired from Ozzy Osbourne’s band. He liked the appearance of Mötley Crüe, with one blonde-haired and three dark-haired members, and wanted to do the opposite with his band. 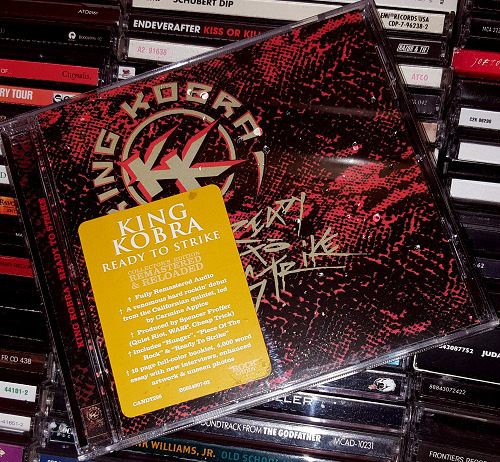 Spencer Proffer, the producer of Quiet Riot’s Metal Health, produced King Kobra’s debut album at his Pasha Music House. 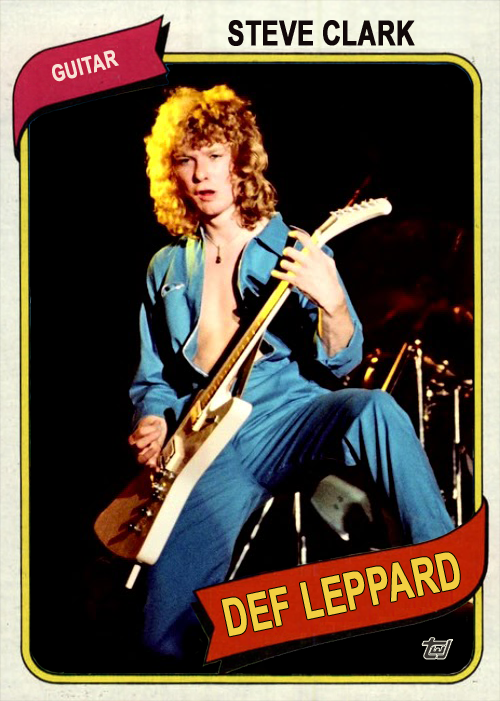 The record is full of hard rockers, from the title track to the ear-wormy “Breakin’ Out.” The only single released from the album was “Hunger,” a song written by Kick Axe and later recorded by them and released on The Transformers: The Movie soundtrack under the name Spectre General. Before King Kobra was fully formed, the song was shopped to Black Sabbath as well, when Ron Keel was auditioning for the band. That fell through, and so did a Sabbath version of “Hunger.” King Kobra also recorded another song written by Kick Axe, “Piece of the Rock,” at the urging of Proffer. This remastered compact disc by Rock Candy Records comes with a 16-page booklet, complete with a newly-written 4000-word essay by Malcolm Dome which recounts the formation of the band and the recording of the album, along with the difficulties King Kobra had with the record label and the lack of promotion from Capitol Records. 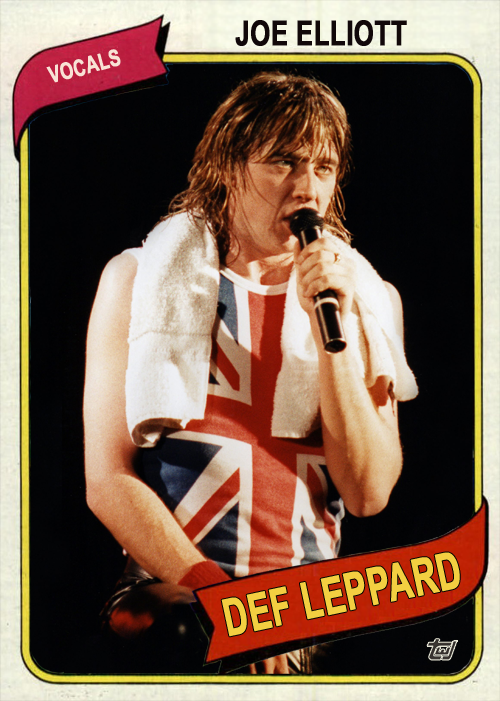 Also included in the booklet are several full-color photographs of the band, both promotional shots as well as concert photos. King Kobra’s debut album is right up your alley if you enjoy bands like Ratt and early Mötley Crüe. After just a few listens, you’ll be raisin’ your fists to the power chords and singing along to this long-overlooked band. Purchase King Kobra’s Ready To Strike Collector’s Edition Remastered & Reloaded. 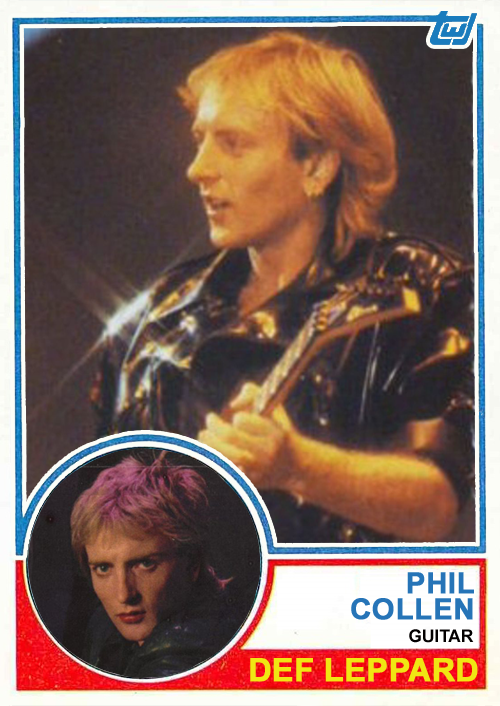 During the 1980s the music scene was exploding with an abundance of great rock bands—including multi-platinum sellers such as Mötley Crüe, Quiet Riot, and RATT—but there was always room for talented new contenders. For King Kobra this was an invitation to launch onto a landscape that was primed for killer hard rock, enormous sales, and unlimited airplay. It comes as no surprise then, that respected re-issue label Rock Candy Records has turned a spotlight on their first two classic albums, Ready To Strike and Thrill Of A Lifetime. Both titles are set to be reissued on February 10th having been fully remastered with enhanced 16-page booklets featuring rare photos, new interviews, and a 4,000 word essay penned by Malcolm Dome. 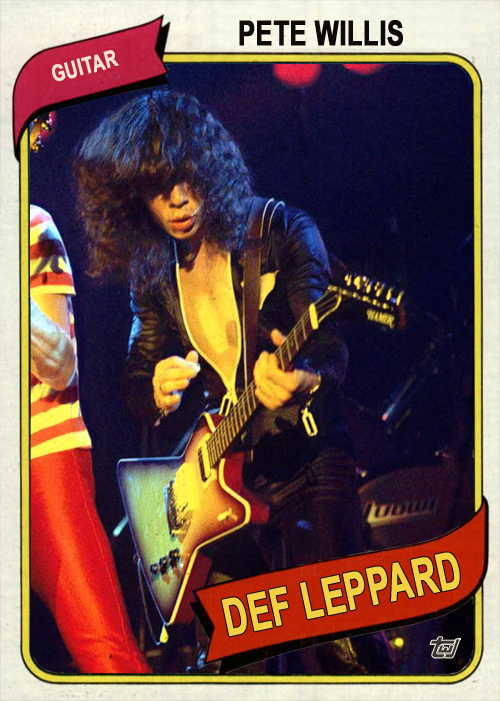 Formed in California in 1984, by seasoned drummer Carmine Appice (Cactus, Beck Bogart & Appice, Ozzy Osbourne) and featuring vocalist Mark Free (Unruly Child), guitarists John Michael Philips & Mick Sweda (Bulletboys) and bassist Johnny Rod (WASP), the band won instant attention for their unique look—four blondes and one brunette. Produced by Spencer Proffer (Quiet Riot, WASP, Cheap Trick) and signed to Capitol Records, the band’s debut album, originally issued in 1985, won them the attention of fans and critics alike by delivering one of the year’s best records. 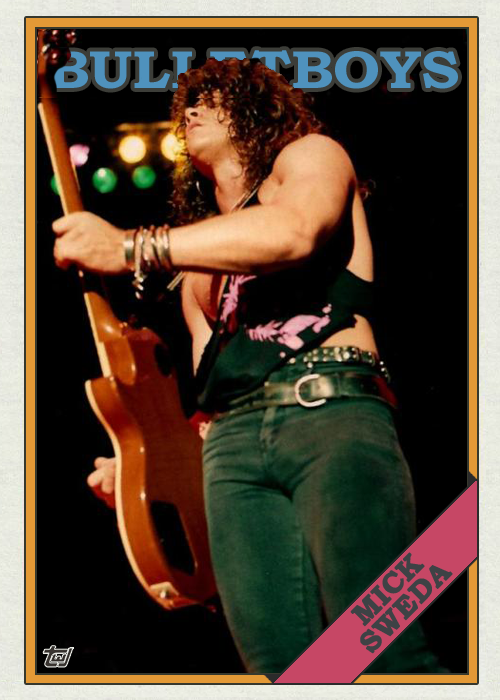 Tracks such as “Hunger,” “Tough Guys,” “Piece Of The Rock,” and the title track itself are pivotal examples of some of the best mid 80’s hard rock. Thrill Of A Lifetime, their sophomore album, originally issued in 1986, saw the band shift gear, modernizing their sound and focusing on more accessible songs, perhaps modeled on the chart success of artists like Bon Jovi and Cinderella. The material was spearheaded by the hugely infectious “Iron Eagle (Never Say Die),” a track that was included on the hit movie Iron Eagle. Elsewhere there’s “Feel The Heat,” “Raise Your Hands To Rock,” and “Dream On” for further proof of their hard rocking credentials. For more information, please visit rockcandyrecords.com. Purchase Ready To Strike and Thrill of a Lifetime by King Kobra. 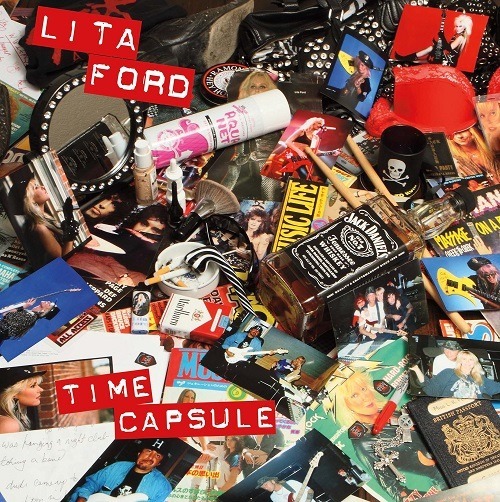 American vocalist/guitarist Lita Ford is set to release her latest album Time Capsule on SPV/Steamhammer on April 15, 2016. The very special and unusual recording turns back the clock to a time when honest, down-to-earth rock music was still handmade and recorded without digital tricks and contraptions. Time Capsule is a “throwback” record that boasts identifiable voices and brilliant players jamming without any planning or pressure. 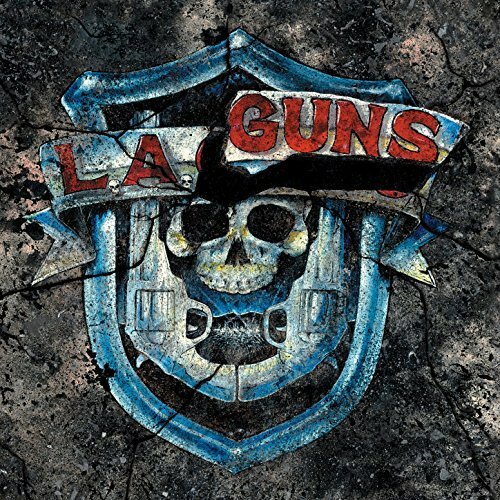 Some of the album`s highlights: Billy Sheehan (bass), Rodger Carter (drums), Dave Navarro (mandolin), Jeff Scott Soto (vocals), Rick Nielsen and Robin Zander (backing vocals) and Gene Simmons (bass). Time Capsule contains ten songs plus an intro and will be available as a digipak as well as an LP version and download. It`s Ford`s gift to fans who love the ´80s, when thrilling vocal performances, raunchy riffs, and loud, growling guitars were as essential as oxygen. 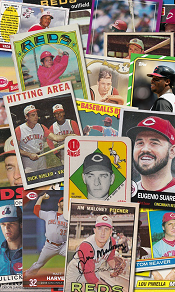 Time Capsule is available for pre-order HERE .